2) I get to eat the ‘off-cuts’. 3) Nougat tastes better than socks. 4) Nougat is more thoughtful (than socks). 5) Boney M doesn’t play on repeat in my kitchen. 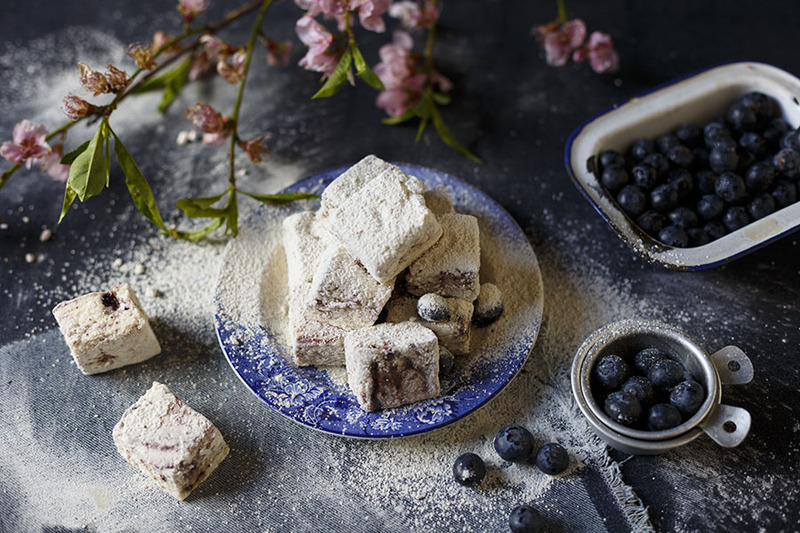 So I’m making a gigantic batch of nougat – for not just my dad but the whole family. 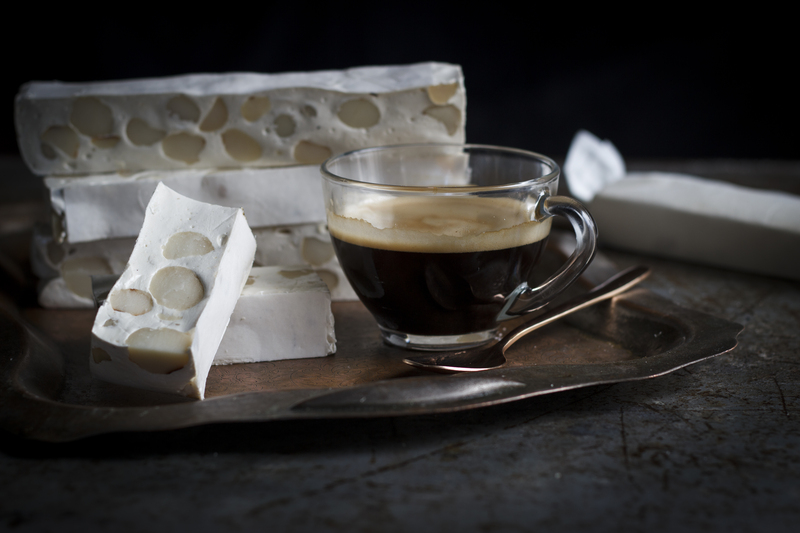 You get nougat! You get nougat! Everybody gets nougaaaaat! Like all my favourite things, this one is versatile – you can pretty much design your own according to your – I mean your friends’ – taste. I went for a fancy-sounding but uber delicious combination of vanilla, honey, macadamia nuts and proper extra virgin olive oil. I know we think of olive oil as great for salads and drizzling over literally everything savoury (a la Jamie Oliver) but I’m telling you that good olive oil adds something really special to desserts, not only adding complexity but balancing the sweetness too. 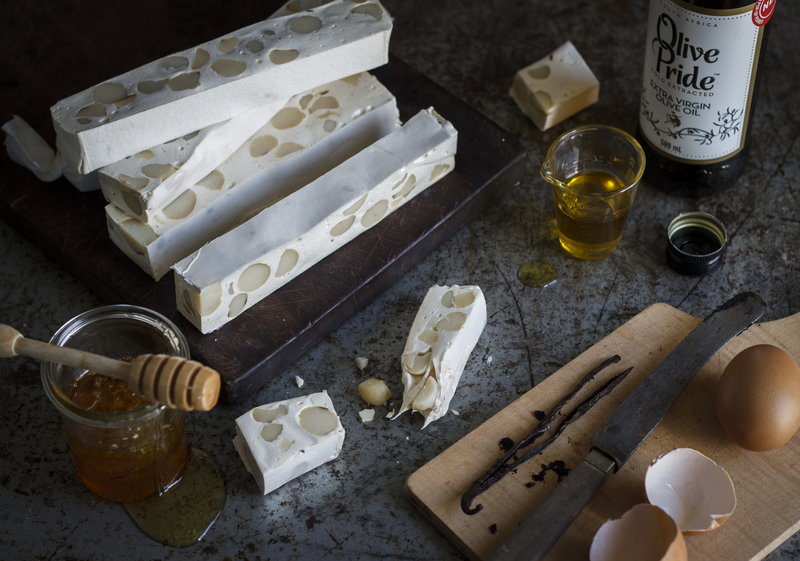 I used Olive Pride’s Extra Virgin Olive Oil in my nougat since it has a lovely peppery flavour that is just heavenly with the vanilla and honey. 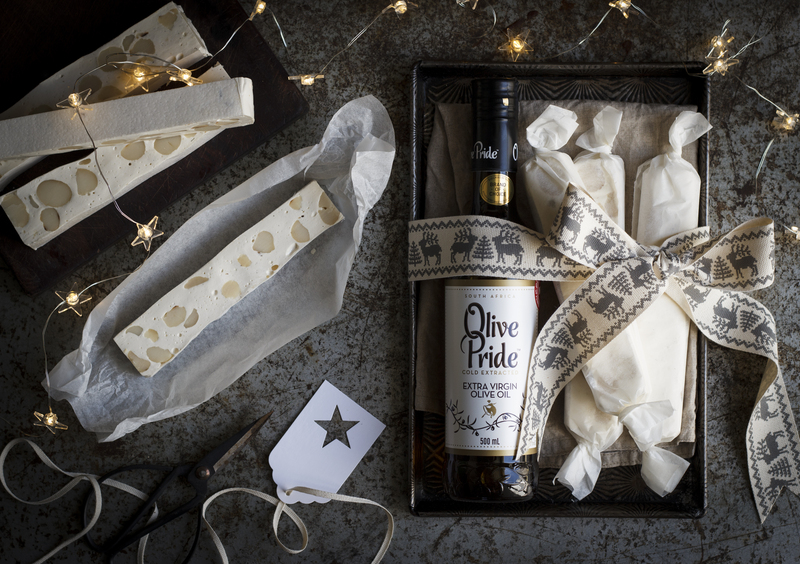 A folded tea towel, a vintage baking tray (or box), some wrapped up sticks of your homemade nougat and a pretty bottle of olive oil – winning! You can also win at the fabulous competition that Olive Pride is running; simply SMS ‘Olive Pride’ and the last 4 digits of the barcode to 46797. Not only do all the SMS proceeds go to BrightStars, a safe home for children but you can also win a R2000 shopping voucher plus a R500 hamper of yummy olive products. 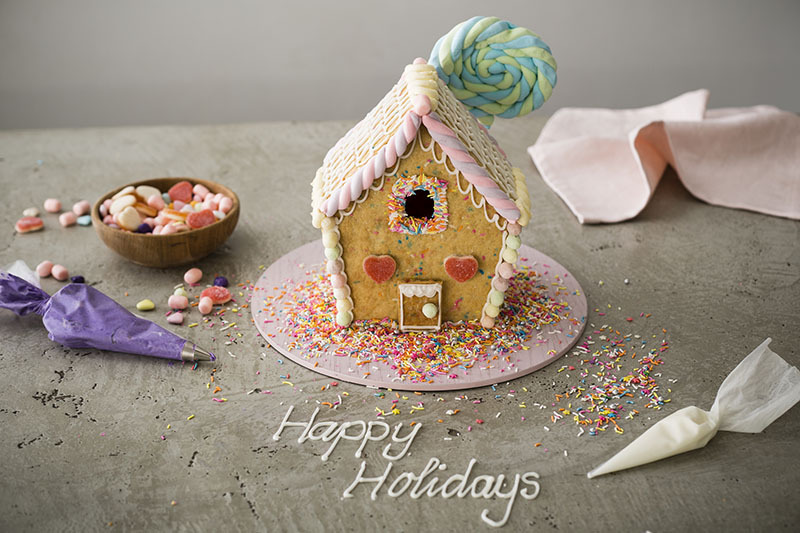 Line the base and sides of a 20cm square cake tin with baking paper. Cut the rice paper to fit the tin – place one in the bottom and keep the other aside for the top. 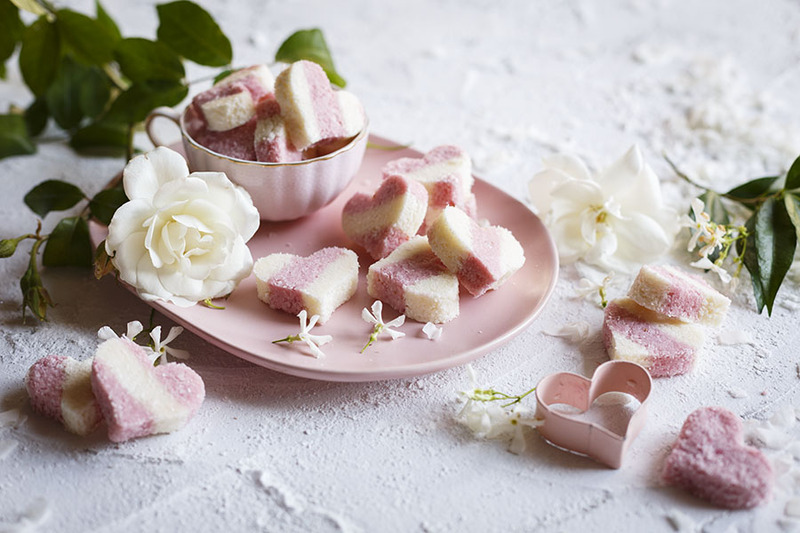 Place the glucose, honey and vanilla in a saucepan over a low heat until melted, then add the caster sugar and stir until the sugar is completely dissolved and the syrup is translucent. Bring the syrup to the boil and simmer until it reaches 130 degrees celcius on a thermometer. Start beating the egg whites in an electric mixer to form stiff peaks so that by the time the syrup reaches 140 degrees celcius you’re ready.Gently pour the hot syrup down the side of the bowl into the stiffly-beaten egg whites in a steady stream. Beat for 1 minute or until thick and glossy then gradually add the butter and olive oil. Working quickly, stir in the nuts and spoon the mixture into the lined baking tray. 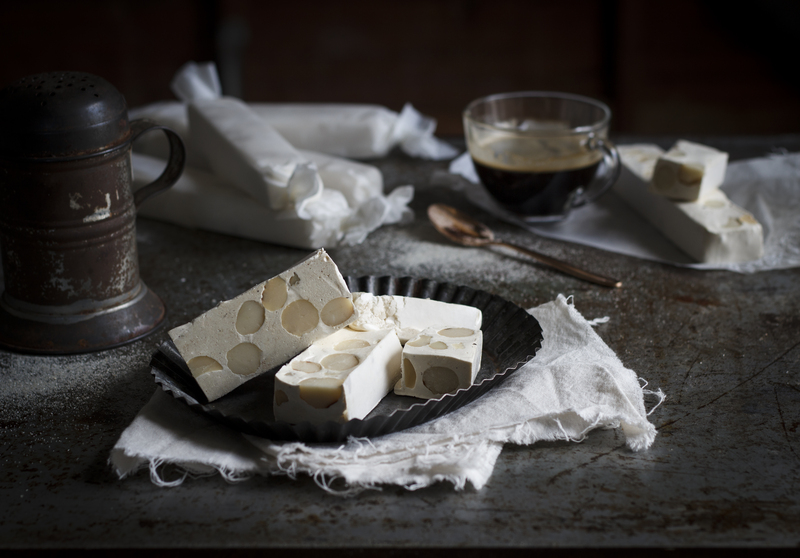 Top with the remaining piece of rice paper and press down to form an even slab of nougat. 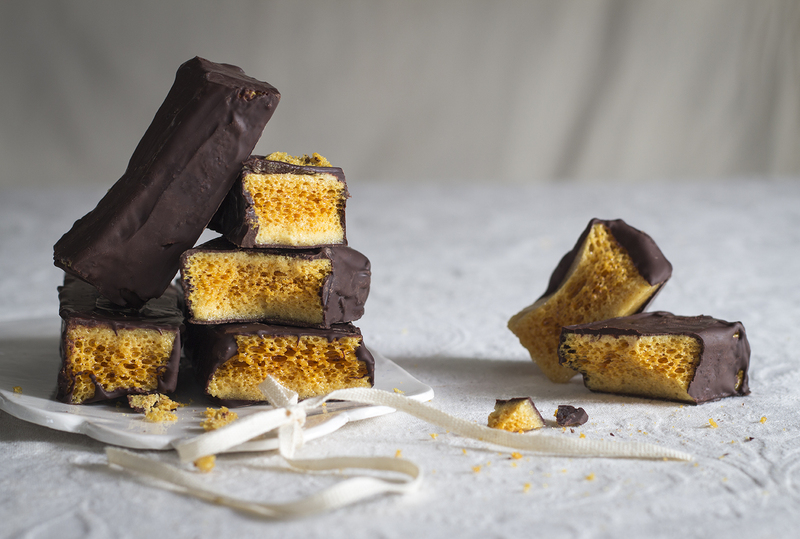 Allow to cool and set completely for 2-3 hours.Slice into bars or pieces using a sharp serrated knife and a sawing action. 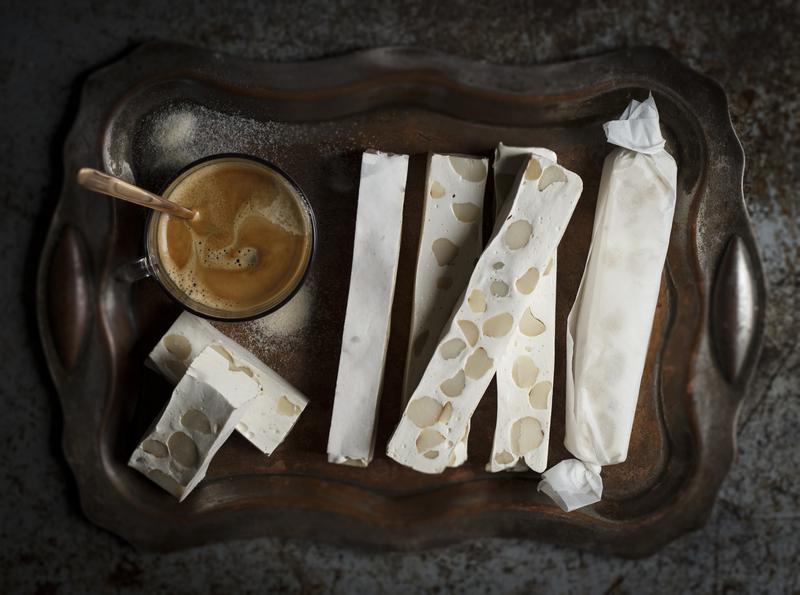 Wrap the nougat immediately in baking paper, wax paper or cellophane and store in a cool dry place in an airtight container. VARIATIONS Experiment using different nuts – such as pistachios, almonds and pecan nuts – dried fruit like cranberries, and even coffee beans are delicious in this recipe!